I LOVE the rainbow milk experiment and the kids love it even more. It's so easy to do and the results are amazing. 1) Pour some whole milk into a bowl. 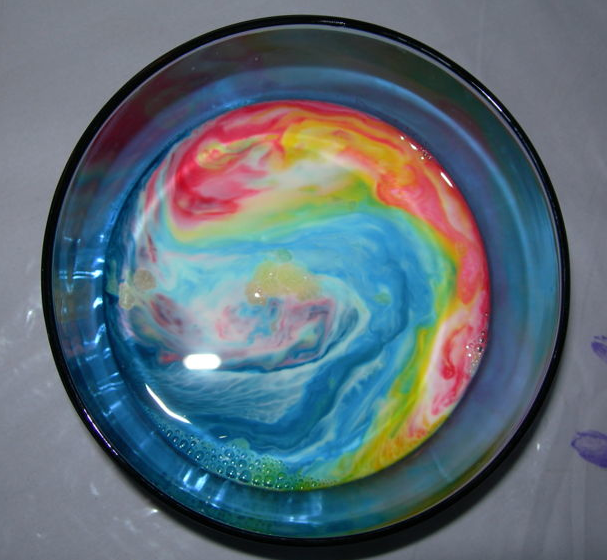 2) Add some drops of food colouring; red, yellow and blue spaced equally around the outside edge of the bowl. Be careful not to jiggle the bowl or the table! 3) Use a cotton swab dipped in liquid dishwashing soap (Dawn works well) and hold it in the centre of the bowl. Watch the magic begin! The molecules in dish soap and milk repel each other. 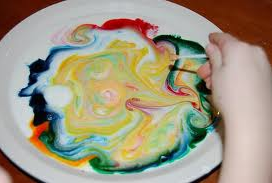 So the soap floats on top of the milk and spreads over the surface, grabbing the food colouring and mixing it together. How cool is that? Be sure to have the children make their hypotheses before beginning. They can print their names on stickies and add them to a class chart of predictions. 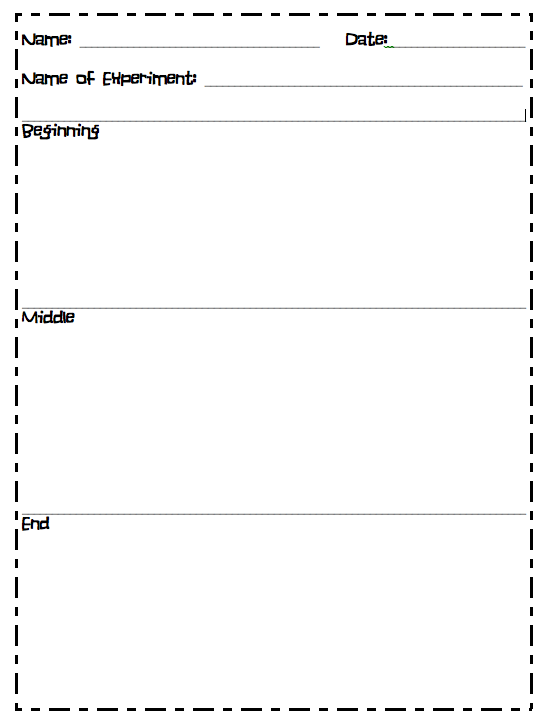 When the experiment is finished, talk about the beginning, middle, and ending and have the kids draw their observations in their science journals or on the sheet below. Try it with skim milk and cream. What's the difference? Why? 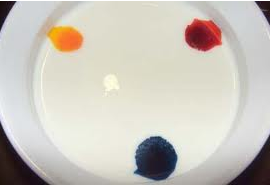 Play with different colours and observe which new colours are made. Discuss the colours of a rainbow. Who would have thought? I bet you get some great predictions. Oh, oh, oh, you have such great ideas! Gotta print this when I get home. Another great experiment! Looks like fun! 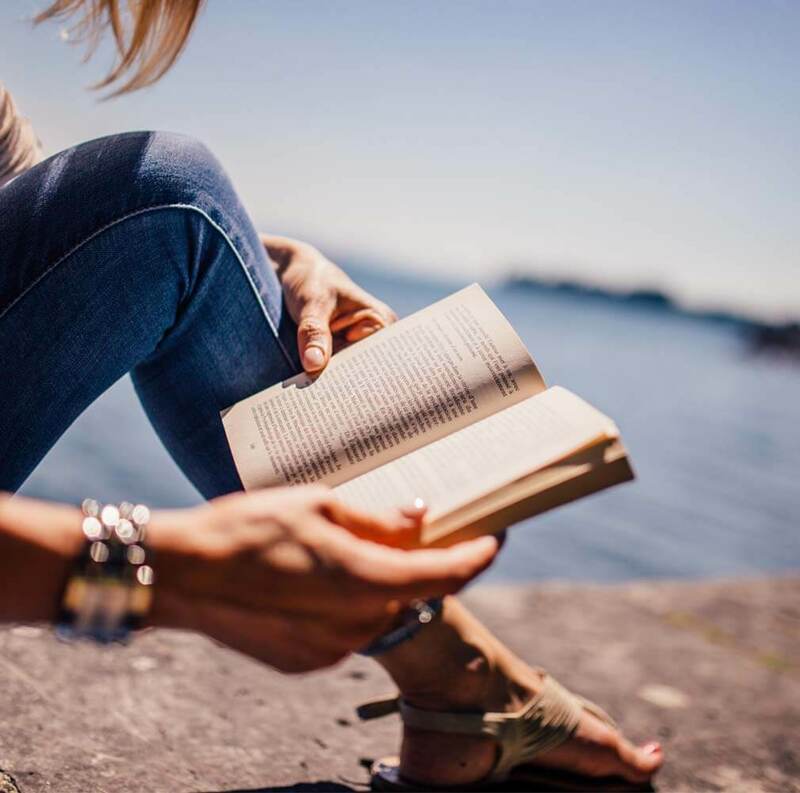 Thanks for stopping by my blog, because now I'm one of your newest followers! This is totally cool. Pinning.